When you have a commercial property, the main thing to worry about is safety and security from within. 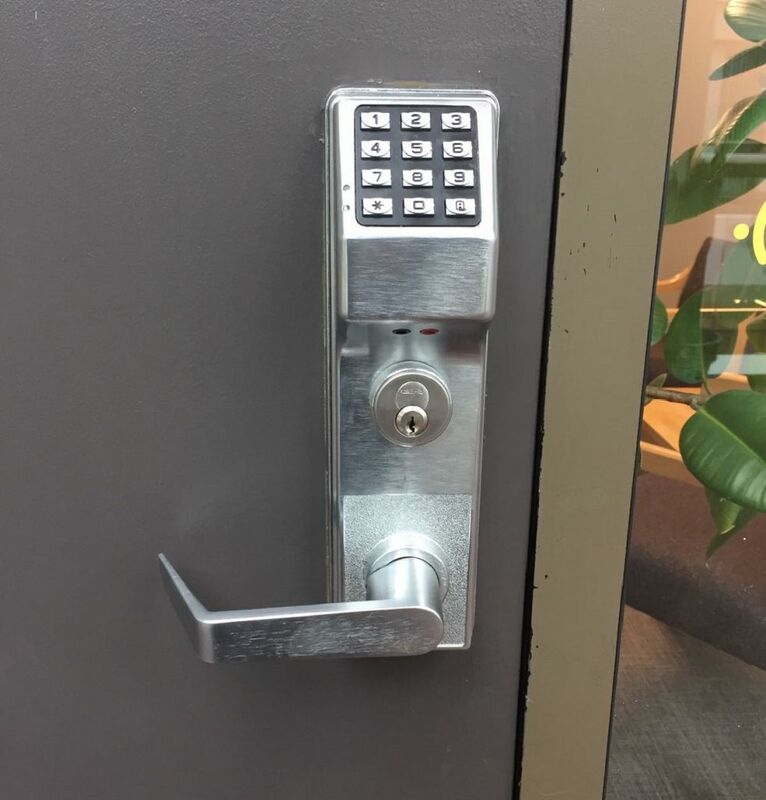 It is important to gain full access and control of unlocking and locking your office doors, because of all the valuable belongings that may be within a commercial building. Your commercial locksmith at Locksmith Monkey will share with you all the benefits. Our team can service your property any time with a keyless entry, as we are a 24 hour locksmith company. For commercial properties, there are often times many people who go in and out every day. Having a secure code will ensure that only staff members and people who are supposed to go in do. You can also install these keypads within offices or apartments inside a building, and our specialists can explain how it works with you. You have complete access control to your commercial property this way, and it will remain private. There can be many different situations in which someone enters a building who is not supposed to be there or is unwanted, and by not having access door control, you may not be able to stop them from entering. Locksmith Monkey can introduce to you a keypad entry system or a scan card system. With the keypad entry, your employees will need to know a certain numerical code in order to have access to the building. This secures any unwanted visitors from entering, unless they know the code. With the keyscan access, you will only be allowed to enter the premises if you have a card that scans and unlocks. You may be wondering if your commercial property needs these types of entry systems. The answer is YES they do. Imagine if you fired an employee, and they still have a key to your property. You may be stressing about having to change all of the locks to prohibit that person to do so. With a keyless entry, you will never need to worry about those types of issues. The best part about these entries is that you can make them in sections. For example, you can divide each lock area by the different departments in your company. This way, people working in the building who do not belong on a certain level or region will not have any access, and guarantee privacy/safety. Make the switch to go keyless for your commercial properties. This will give you less of a headache, more protection, and will make your life much easier. To get started, call our commercial locksmith specialists at Locksmith Monkey to schedule an in-house appointment!